Every child wishes they were big, but is it all it’s cracked up to be? After being told he’s too small to go on a carnival ride, Josh Baskin uses a fortune teller arcade machine to wish he were big. The next day he wakes up a full grown adult and after being mistaken for an intruder by his mother he must survive on his own in the city. Bringing Josh to life is Tom Hanks, whose performance is an excellent study in physicality; his movement straight after the transformation is twitchy and anxious which emphasises the lack of confidence Josh has at the start, matching the performance of David Moscow’s young Josh. Hanks gives Josh a childish swagger that appears like a child imitating an adult as he starts to fit into the adult world. The points where Hanks is at his strongest are the moments when Josh’s childish joy comes through. The most memorable of these is when he’s in a toy store with his boss MacMillan, on the floor piano dancing while playing ‘Chopsticks.’ Again this also shows off his movement skills, with Hanks adding a gangly quality that is seen in youngsters that have recently grown, as he leaps energetically between keys. Writers Gary Ross and Anne Spielberg create interesting dynamics between Josh and his colleagues by questioning how people view being grown up. 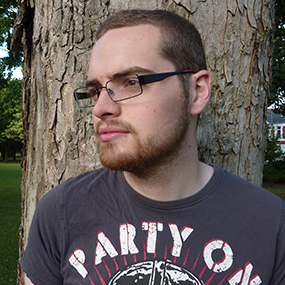 His boss, MacMillan, who thinks that creativity and freethinking are essential, sees Josh’s eagerness and honesty when at work as innovative and invigorating. This is in contradiction to Paul who’s threatened by Josh and sees him as cunning and driven, due to his own ego, insecurities and underhand nature. The crafting of these views by Ross and Spielberg make these supporting characters much more rounded and realistic than the reactionary supporting casts in other family films released around the same time like Twins and Crocodile Dundee. 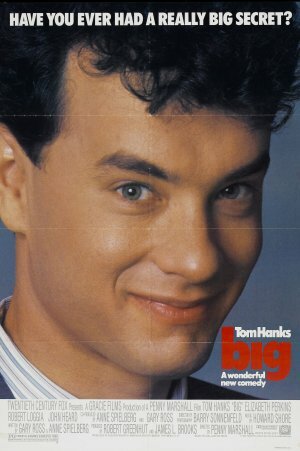 With a mixture of Tom Hanks' energetic and accurate performance of a twelve year old thrust into an adult world, and the situations that allow him to show off his abilities, Big is rightly recognised as a family favourite.